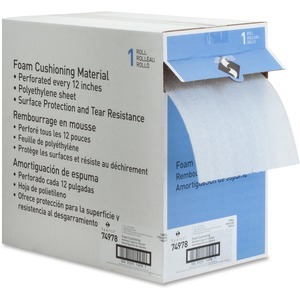 Foam bubble cushioning features a commercial-grade design to provide economical protection for lighter-weight products with relatively short storage or shipping cycles. Polyethylene provides excellent surface protection with minimal breakage. Soft, flexible material conforms to odd shapes to quickly secure a large variety of items. Lightweight design helps keep your shipping costs to a minimum.